As the peak of winter approaches, getting to know the symptoms of frostbite is essential. While the skin condition varies in severity, it’s easier to contract than you’d think. Here are the frostbite signs and symptoms that require immediate attention. 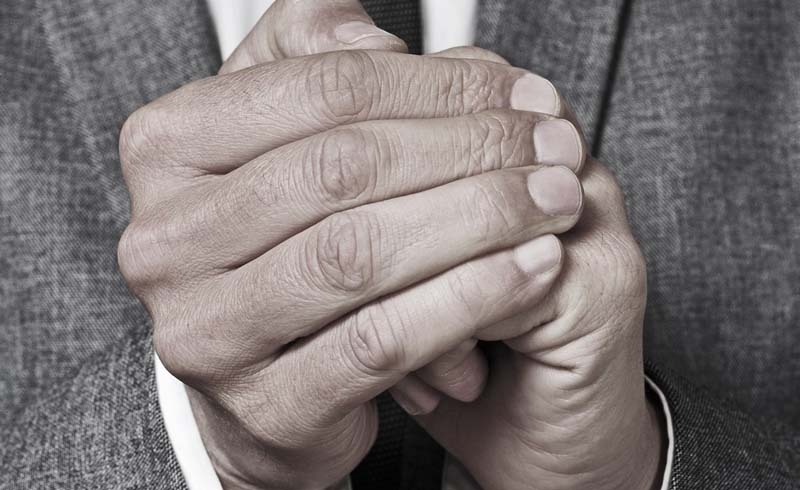 Common areas where frostbite occurs are the fingers, toes, cheeks, nose, ears, and chin. Make sure to be aware of these areas when looking for frostbite symptoms. If any of these turn red, that’s a sign of frostnip, an early warning sign of frostbite. Frostnip doesn’t permanently damage the skin, but it’s a signal to seek warm shelter quickly. Another frostnip symptom might include the skin feeling very cold to the touch. If you don’t warm up after frostnip has kicked in, frostbite will enter its early stages. At that point, exposed skin may become numb or start to itch, burn, or sting. (Because of the numbness, many people can’t tell when frostbite has set in. To avoid the condition worsening, pay attention to the color and texture of the exposed skin.) 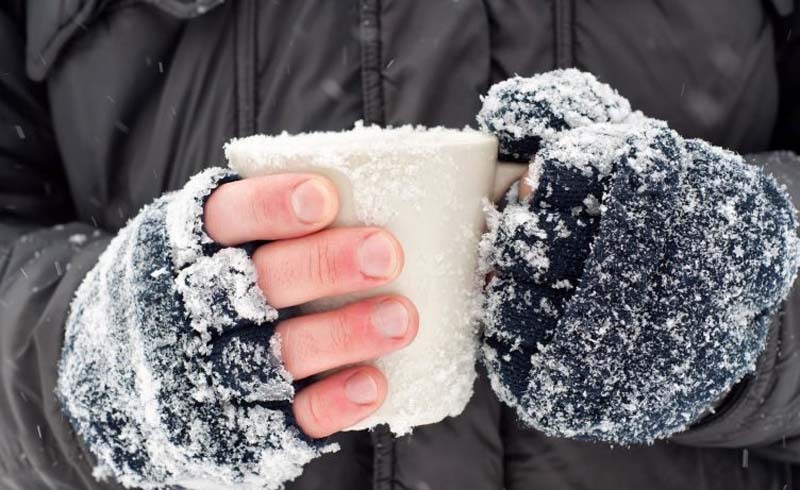 Besides frostbite symptoms, here are 15 weird things that happen to your body in the winter time. Prolonged exposure will lead to skin hardening, a frostbite symptom that indicates possible tissue damage. The area may also start to look shiny or waxy. If you warm up during this intermediate stage of frostbite, also called superficial frostbite, water- or blood-filled blisters will form. Quickly seek medical attention to ensure there’s no lasting skin damage. Any continued exposure to the cold will lead to the advanced stage of frostbite, which can cause the affected tissue to die. Here are 10 genius solutions to all your winter skin-care problems. As soon as you spot a warning sign of frostbite, head to a warm place immediately. Then, soak the affected areas in warm water or cover them with a warm washcloth for about 30 minutes. If possible, have someone else check the water temperature. (Your skin has likely already gone numb, which makes it difficult to judge if the water is too hot.) 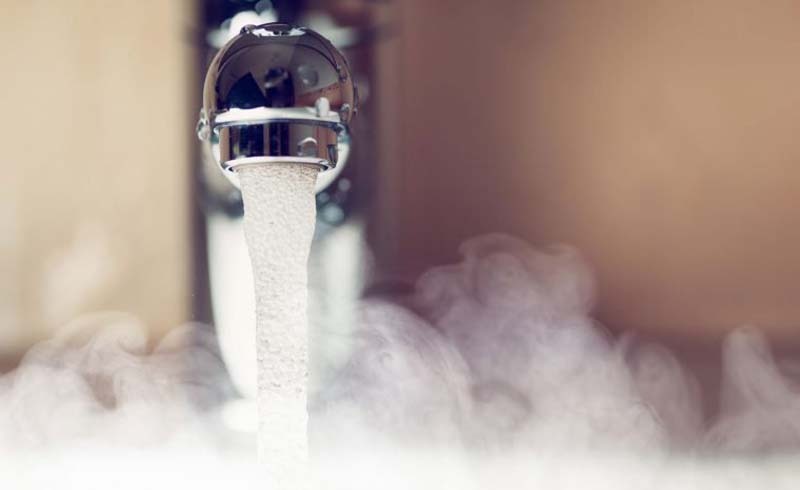 As your skin starts to thaw, it could become red and you might feel a tingling sensation, which is just your regular blood flow being restored. 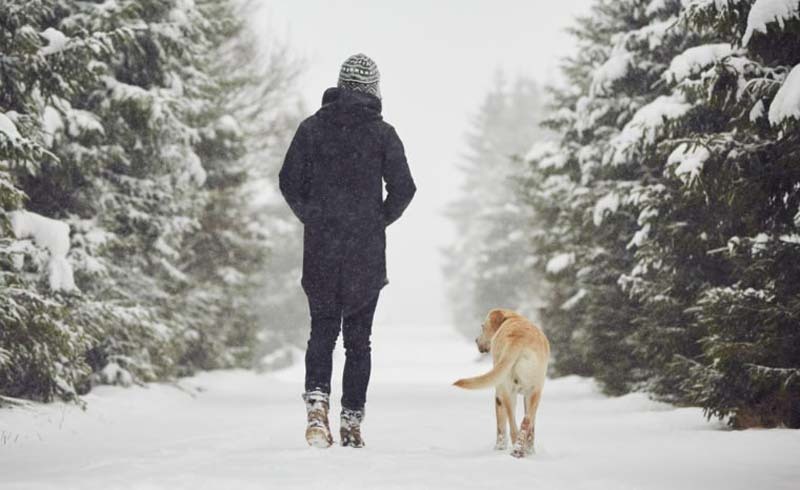 Here are 7 tips to keep your hands and feet warm this winter. To keep frostbite from setting in at all, bundle up with loose layers of clothing. The initial layer should keep you dry, the next with materials that insulate, and the top layer should be wind- and waterproof. If you start to sweat, unzip your coat a bit to dry off. Just as important: a cozy hat, thick socks, waterproof shoes, insulated gloves, and earmuffs. Dehydration increases the risk of frostbite too, according to Mayo Clinic. 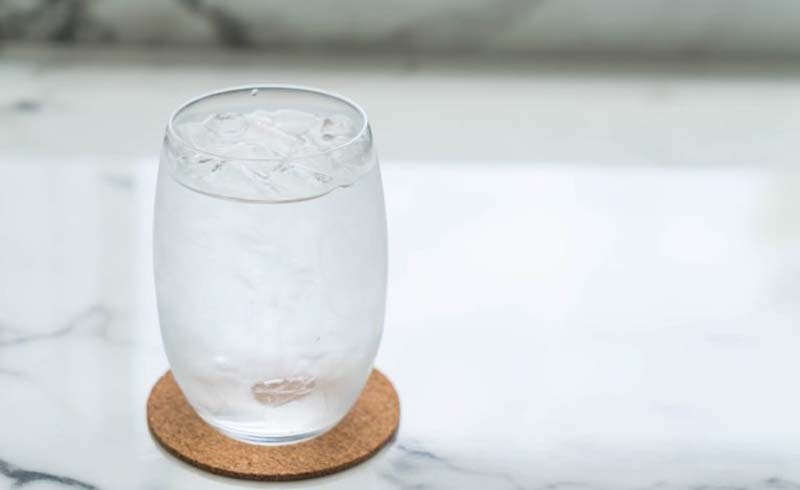 Even if you aren’t thirsty, the American Academy of Dermatology recommends drinking a glass of water before heading outside for any activity, especially exercise. Make sure to avoid alcohol as well since it’s dehydrating and can make the body lose heat more quickly, Healthline reports. Don’t forget to eat before going out into the cold to also keep your body warm. If you’re outside for a longer period of time, keep your body moving to help warm your core. Try doing jumping jacks or moving your arms to get your blood flowing and help you stay warm. Just don’t overdo it since you’ll need your energy in the cold weather. 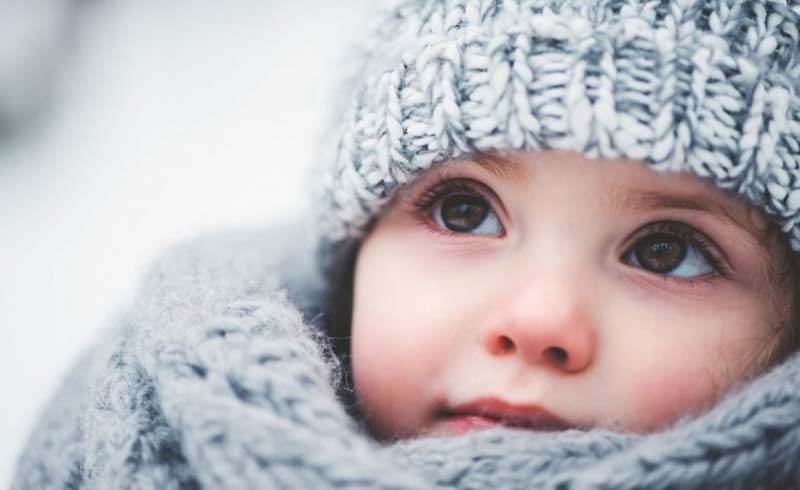 Now that you know what frostbite symptoms to watch out for, check out these winter skin tips from dermatologists.